This apartment has 3 bedrooms and 2.5 bathrooms! It's a short walk to Bond University and the shops and restaurants in Market Square. It has a beautiful view as it overlooks the lake and is very spacious. There is also access to a pool, BBQ area, and gym. The apartment has air conditioning and Foxtel. The house is also available for single rooms. If you don't have a group of friends to take over the entire house. Please message me for more info or to see the place! The Apartment: 7th floor in the AURA Apartment complex, with a beautiful view over the lake all the way to Burleigh. Including; 3 bedrooms, 1 bathroom, a living area with a TV, PS4, and Netflix, kitchen, washing room and a huge balcony going across half of the apartment (see pictures). The apartment is fully furnished and less than a year old. Currently renting out two rooms, one of which with the best view and the other a more compact and cheaper option. Both rooms include a wardrobe and 3 months old beds, available for purchase from the tenants moving out. WiFi is also available, in which we pay 6$/week per person. Electricity comes as an additional variable cost, unable to give an average since we have only received one electricity bill since we moved in, that one was at 14$/week per person. The kitchen is supplied with a fridge w/ freezer, toaster, kettle, coffee machine, oven, dishwasher, cooking equipment and enough cutlery/plates/bowls to last us a decade. 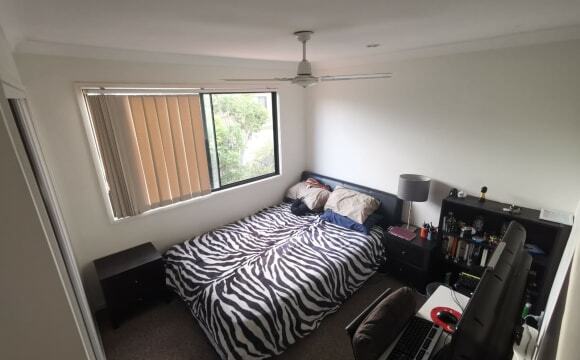 The entire apartment is airconditioned and each room has a ceiling fan. Additionally, the bathrooms have exhaust fans. Additional facilities included: - Roof-top common area with coaches, tables and a beautiful view. - Underground parking (2 parking spots), guest parking, and a huge shed for bikes, surfboards and other belongings. - A gym, 2x pools, 2x bbq areas, spa, and sauna (see pictures). Outdoor kitchen and bbq, pool and bungalow, large bedrooms with BIR, loathe living and dining. Fun in the sun. Four bedroom home with ducted air conditioning, a fireplace and two living areas. Modern and beautifully decorated with a great entertainment area facing the lake. About to put in a deck and jacuzzi mid May, so Friday night BBQs will be a thing! 📅 Available no later than 27May, until 8August (possibly longer, flexible on end date for the right person/people - see below!). 👉 You would have the master bedroom as I am travelling a lot during this period. The bedroom in the photos is actually the second bedroom which you'd be welcome to use for guests when I'm not there. Potential for this arrangement to be available much longer as my plans are currently loose until December. 🏡 2bed/2bath, fully furnished, modern apartment on a resort style complex with pool/gym/undercover parking. 😎 Balcony overlooks a nature reserve and lake - super quiet other than the birds getting their chorus on in the mornings! 🎓Walking distance (around the lake) to Bond Uni - approx 20mins walk. 💰 $300/week single or $350/week couple. Includes ALL bills (unlimited wifi) 📍Varsity Lakes is 5min drive from Robina Shopping Centre and M1 access, 10-12mins to Burleigh Heads, 20mins to Village Roadshow Studios, 1hour to Brisbane in good traffic! We have a decent sized yard, double garage, driveway that can fit 2 cars and there is parking on street. Close to Varsity train station, Reedy Creek supermarket and Robina Town Centre is about 5ish minute drive away! We have Netflix &amp; Stan and all that. We already have most furniture so all you’d need is bedroom furniture. Both available bedrooms have built in wardrobes and ceiling fans. Both similar in size and decent size. We have 2 bedrooms available, however if you’d like more space then we’re happy to only rent one out - just means the rent and bond will be more. You will be sharing bathroom with the tenant of other room advertised, as we have an en-suite. Unfurnished private Bedroom with built in wardrobe + free office space! Super close to shops in Burleigh, M1, Beaches etc. This House is our new rental home and we want it to be yours too. We are two mid 20’s Young professionals (Roan and George) who have just moved into this new space recently. Coming from our last place, this is literally a dream! We have converted the fun room (in photos) into a collaborative creative space for us to work/play/create/build in. The kitchen is also lovely to cook in, lots of counter space with the middle counter. We are also setting up a Projector in the lounge for movie nights. And are keen to get some music jams going if you are so inclined. We do like to have some sensible fun when time allows! 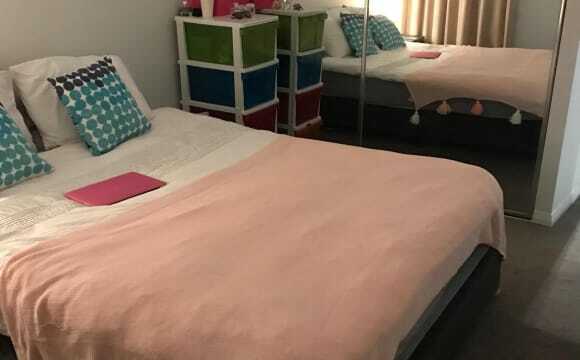 Your room has a ceiling fan and looks out onto a community centre and small park area past our backyard, and we are also close to the local shops (treetops), M1 Highway, and the beach is only 8-10 minutes drive away. Look forward to hearing from you! *The photos you see are from the original real estate listing, so we have moved some things around, but it’s all similarly laid out. 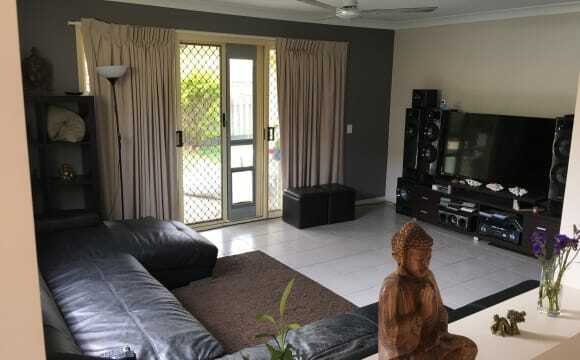 Hello I have a beautiful 4bed 3bath house in Varsity Lakes with a room available from mid June till the end of January! We are seeking a new addition to fill our house family. The room available is upstairs and sharing a bathroom with only one other girl. Room has ceiling fan with remote controls. Lights are also on control so you don't even have to get out of bed to turn the light off! Win! The room is either furnished or unfurnished. The rest of the house is fully furnished with modern furniture. There is AC/heating in the living area aswell. Large kitchen with dishwasher, all appliances (nutri-bullets, slow cookers, rice cookers- we have it all) and plenty of cupboard space. Large fridge/ freezer and chilled water dispenser. The garage has plenty of additional storage shelving aswell. The backyard has a herb garden. We also have a table tennis/ beer pong table. Unlimited high speed wifi available. * You will be required to pay contribution to the bond ($300) * You'll be living with three chilled, friendly people (two girls and one guy), aged 22 - 29 years old. We all work/ study full time, one in hospitality/beauty, one in teaching and one in retail/pharmacy. We are friendly and social and would like someone who wouldn't mind joining us for a drink or a 'family dinner' night every now and again. But - No house parties allowed!! We mainly just keep to ourselves after work/dinner though. MUST be clean and tidy, and respectful of my furniture and other housemates belongings. We all share chores and clean as we go, we like the house kept clean and orderly always. I also have a super cute Dalmatian dog, he is 4. He's an outside dog. He's so lovely and friendly and never barks! Matrix loves walks, cuddles and attention. Not a very good guard dog though.. everyone is a friend to him.. So, you must like dogs and treat him as if he were your own. No other pets allowed sorry- please do not ask. Prefer non smoker but otherwise smoking outside only is ok. Sorry no couples. Female only and ideally 21yrs +. 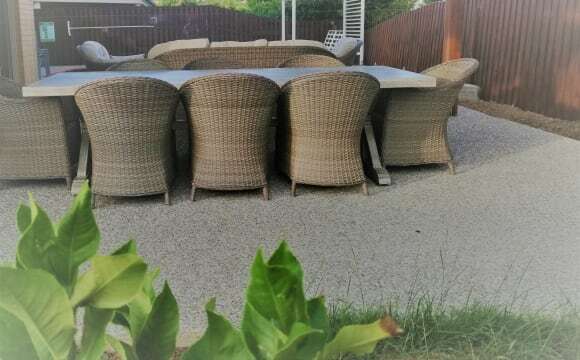 The house is close to Bond uni and Robina town center. (And Dan Murphy's..) Any further information do not hesitate to ask! Look forward to hearing from our new roomie!! PLEASE NOTE: THE ROOM IS AVAILABLE FROM THE 13TH OF JUNE UNTIL THE END OF JANUARY ONLY. YOU MUST BE ABLE TO PAY A BOND OF $300 AND TWO WEEKS RENT IN ADVANCE OF $300. 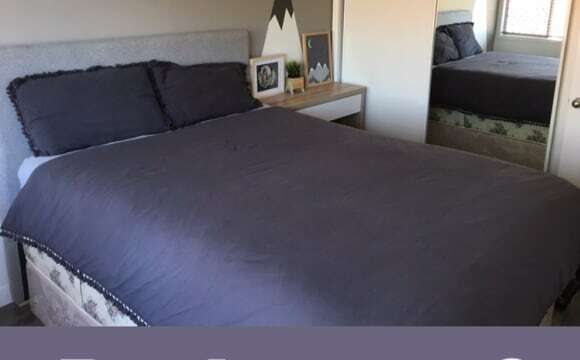 ****ROOM FOR RENT- PERFECT FOR STUDENTS/ NEAR BOND UNI******* Brand new apartment situated in Varsity Lakes. The room has its own bathroom/ensuite. Its very spacious and has built in sliding, mirrored wardrobe. No bedroom furniture but can be arranged if want. The apartment has amazing amentities such as a gorgeous pool, Gym, Sauna, Virtual golf, bbq with lounge area. Apartment has new ducted air-con, large fridge, washing machine, dryer and dishwasher. The location is really good as its 10 minutes from robina, 10 minutes to Burleigh, 20 minutes to broadbeach. Varsity has also got a nice little town where you can find a few pubs and restaurants there also. There is a Aldis supermarket 2 minutes walking distnace from the apartment too which is very handy. Main attraction is the balcony mountain views and behind the apartment building theres Lake Orr which is so nice for day and evening strolls. Looking for someone who clean, friendly and works or studies full time also. The apartment is very spacious with 2 bedrooms and 2 bathrooms. Both bedrooms are big in size and come with built in mirrored wardrobes. The balcony is also so lovely with loads of room and perfect for the summer chills. Welcome to drop me a message if interested or email me if it comes up as an early bird. Room for rent in Varsity Lakes behind Christine Corner shopping centre. The room has a queen bed, desk, chair, drawers, inbuilt wardrobe. It is great for students. Own large bathroom, a separate toilet downstairs and laundry facilities. The house is in a secure gated complex with a swimming pool and BBQ. 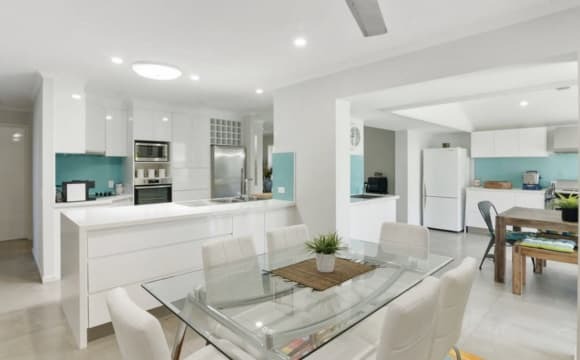 Close to Bond University (20mins walking), Aldi grocery store, gym, Tree Tops Shopping Centre, Robina Town Centre, Varsity Lakes Train Station, Burleigh Heads Beach, etc... Two bus stops with 3 bus services (765, 757, 754). 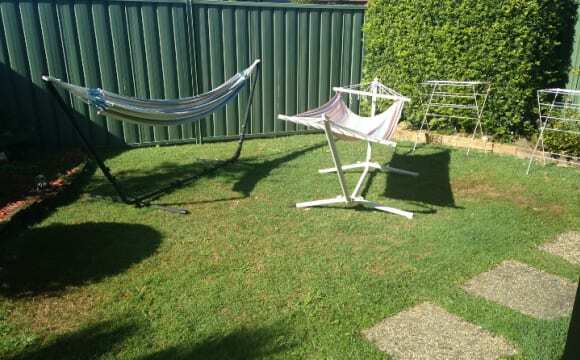 Rent is $200 per week, including internet, electricity, FOXTEL and all utilities. Please call or text to arrange an inspection. No smokers and no pets please. 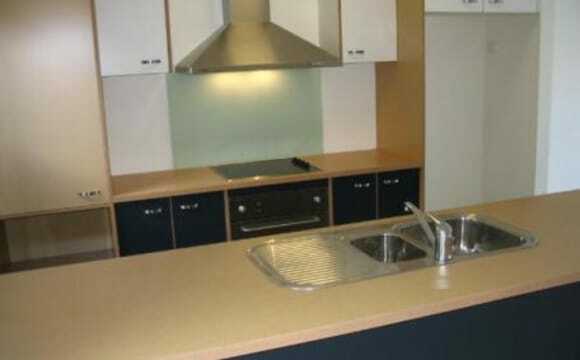 Fully furnished modern apartment and bedroom - with a queen-size bed and BIR and storage space. Own bathroom (combined with laundry), one car space in the basement. All bills (electricity and internet incl). The building - Brooklyn Varsity Lakes - has a rooftop BBQ, lounge area, spa and sauna, and a great Cafe downstairs. Walking distance to bus stops, shops, the pub and cafes. Nice 3 bed house, quiet area, closet to a park, bus stop and shops. 5 min drive to burleigh or robina town centre. Good size private back yard. Nice spot to live. Ultra modern and stylish furnished Flat in the centre of Varsity lakes. Located next to a park (with BBQ facilities) and with a huge sundeck to relax on or watch the starts at night. The flat boasts a light filled living area with smart TV, kitchen and dining area, double bed and bathroom with large and modern shower. High speed Internet available and plenty of wardrobe space. The flat is as new. It has just been painted and has new furniture. Only one minute walk from public transport, major supermarket, coffeeshop, gym, Vie Pilates and picturesque Lake Orr. 6 mintes to Bond University by car or a 15-minute walk along the lake. 5 minutes drive to Robina Town Centre and 3 minutes to the M1. 10 minutes to Burleigh heads We are looking for a respectful individual or a couple who is/are quiet, non-smoker en clean. We are looking for a university student to share our home. The home is a 2 story modern home situated in a quite location. All rooms have DC 6 speed ceiling fans. Our home has been fully renovated (January 2018). Bedroom #2: $200.00 This is your standard size bedroom with mirrored built in wardrobes offering king single bed and study desk/chair, located upstairs. The prices quoted above includes: - water - electricity - wifi broadband wireless internet Bedroom #1: $275.00 This bedroom is located down stairs in a private location with its own private en suite bathroom. The prices quoted above includes: - water - electricity - wifi broadband wireless internet For relaxation you can enjoy lazying in the full leather electric reclining theatre lounge in our media room of 18 sq mtrs with the latest 75" T.V. Walls are shaded in dark colouring's, with matching drop curtains, complete with dark carpets to provide that perfect movie theatre experience. Outdoors. The property is fully fenced and private, offering an inviting in-ground swimming pool and new extended outdoor patio area. There are plenty of relaxing walkways around the rivers and Lake Orr only 300 or so mtrs from our home plus the many cafes to choose from just a short drive. Location: ( as per Google map) 1.6 km walking distance to Varsity lakes railway station ( 20 min walk) 1.9 km driving distance to Varsity lakes railway station ( 6 min car) 2.6 km walking distance to Bond University (32 min walk) Public Bus transport to Bond University is 29 min 4.8 km driving to Bond University ( 8 min car) 400 mtrs to Aldi, cafe, and a 24 hr sports gym. Public transport within 700 mtr walking distance. Modern 2 bedroom flat in Varsity Lakes. Over looking Lake Orr. Gym, pool and sauna included. This place is a nice big home with a pool and a bbq area. We have Netflix, Stan and some foxtel channels. There is one bathroom for every 2 rooms so you just share the bathroom with one other room. The rooms are very well separated from each other. The place is biking distance from bond uni. It is s very nice and relaxed place to live. 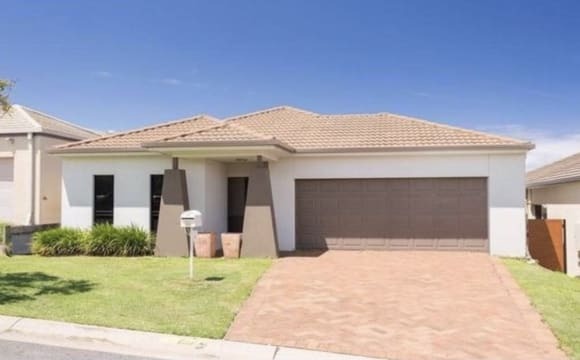 One room available in a beautiful three bedroom waterfront double story unit located in The Reserve (3-minute walk to Bond University) currently occupied by two females, studying full time.